This is Book 3 in the Jonny Plumb and the Sombrero Galaxy Series. This new story takes Jonny and all his friends on even more amazing, hair-raising, dastardly and devilish adventures with all his Sea Life friends, and not forgetting, Legend and Legion, Jonny’s two most loyal Rottweiler companions. 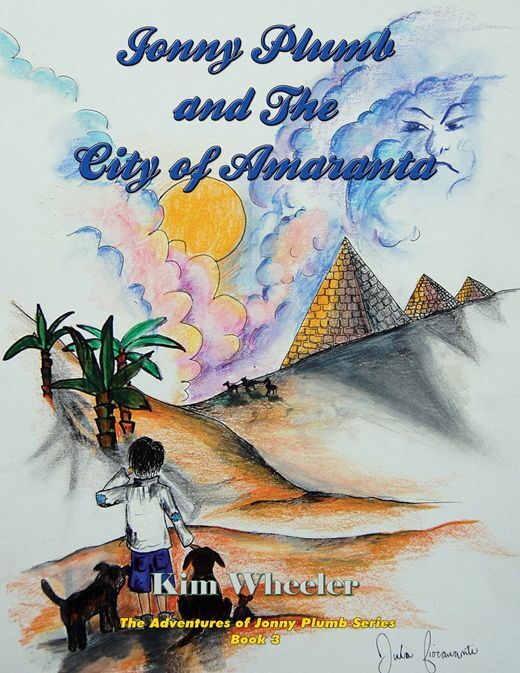 Join Jonny as he discovers the secret, never seen or heard of, hidden city of Amaranta and its inhabitants, the Beings of Pure Light and the oldest man in the universe, Dentro Reclu, the keeper of Amaranta. Then, journey across the world in the fastest space craft ever built in the entire universe, The Silver Flying Arrow Space Ship, as Jonny and his friends fly from one new adventure to another.